Yesterday we lost Dieter Moebius and the day before Kyoko. For this occasion we will dedicate this show to these two peoples with there music! Thanks for the brilliant musical moments. OOIOO co-founder and guitarist Kyoko has died. 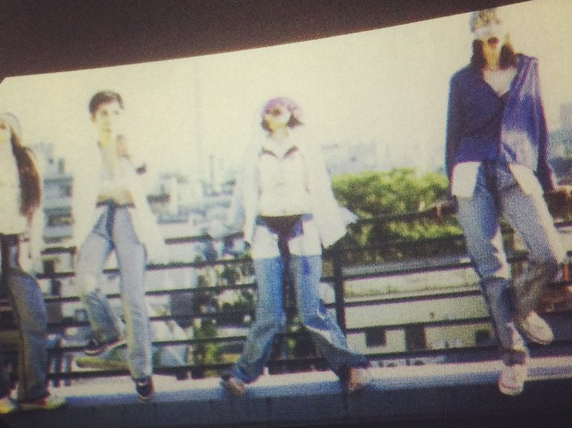 Her former bandmate Yoshimi P-We, also known as one half of Boredoms’ drum section, revealed the news on Instagram with a photo of the all-female outfit in its early years. “This is Yoshimio. I regret to inform you that my friend, Kyoko has passed away morning on July 19th. “Kyoko came from same hometown as I am . We started OOIOO together. She was the first guitar player of OOIOO. She left the band to concentrate to cure her illness but she came to help selling merchandise sometimes to our shows. She started the band with Itoken who was also her longtime partner. The experimental outfit released their self-titled debut album in 1997. Their seventh album, last year’s excellent Gamel, came out on Thrill Jockey last year. One of the true pioneers of 20th Century electronic music, Dieter Moebius, has passed away. Moebius is among the most important figures in kosmische music, being responsible for co-founding experimental three-piece Kluster with Conrad Schnitzler and Hans-Joachim Roedelius. When Schnitzler left the band, Moebius and Roedelius became Cluster, and penned some of the era’s most important electronic albums, including the excellent Zuckerzeit and a collaboration with ambient music superstar Brian Eno. Moebius and Schnitzler also founded Harmonia, with Neu!’s Michael Rother, and put together some of Krautrock’s most definitive records with the motorikDeluxe and the unusual, genre-defying Musik Von Harmonia. Moebius continued recording solo and collaborating prolifically over the last few years. The news of Moebius’s passing was reported via Michael Rother’s Facebook page; according to Rother, Moebius died this morning, July 20. He is survived by his wife Irene. Dieter Moebius, a giant in the genre of electronic music, died Monday, his Harmonia bandmate Michael Rother confirmed on Facebook. Moebius was 71. "Very sad news today for all friends of Dieter Moebius and his unique music. Our friend, neighbor and collaborator passed away this morning, July 20th, 2015," Rother wrote on Facebook. "He will be missed dearly by all of us. Our thoughts go out to his wife, Irene." The Facebook account for Cluster, Moebius' long-running collaboration with Hans-Joachim Roedelius, also confirmed the keyboardist's passing. No other details were shared. Moebius and Roedelius, along with Tangerine Dream's Conrad Schnitzler, first teamed in 1969 to form Kluster; after Schnitzler's exit in 1971, the duo was named Cluster. Like many of their Krautrock counterparts, the duo's early work shifted from experimental and dissonant (1971's Cluster, 1972's Cluster II) to the genre's trademark repetition and motorik beats (1974'sZuckerzeit). The pair also partnered with Neu! 's Rother for their prog-rock side project Harmonia, which released three albums, including 1974's Musik Von Harmonia and 1975's Deluxe. It was the tail end of the latter album that found Moebius and Roedelius venturing into more ambient territory; their 1976 LPSoweisoso is considered their breakthrough in the genre. Soon, ambient music pioneer Brian Eno would team with Cluster on a pair of acclaimed, ambient-leaning LPs: 1977's all-instrumental Cluster & Eno and 1978's After the Heat, which featured Eno singing on three tracks. Over the years, Moebius and Roedelius also worked with many of Krautrock's greatest talents: Sound engineer Conny Plank, Can bassist Holger Czukay and Guru Guru drummer Mani Neumeier. 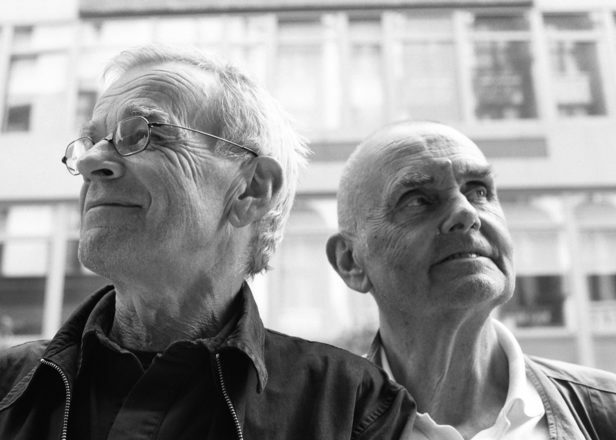 In addition to Moebius and Roedelius' extensive catalog – the duo last recorded together for 2009's Qua – Moebius also recorded over a dozen solo albums, including his most recent work, 2014's Nidemonex.